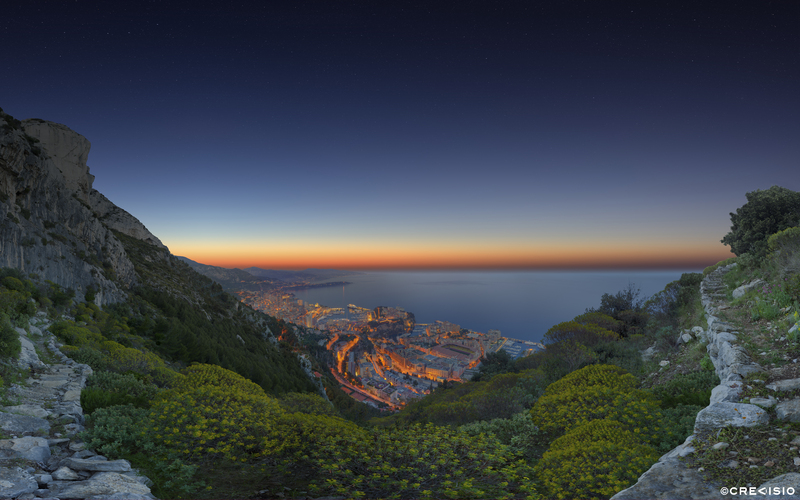 Twilight sunrise panorama during the 2015 FIA Formula E Grand Prix in the Principality of Monaco. This ultra high resolution photograph was taken during the early morning hours during the weekend of the Formula E Grand Prix. The photograph has a total resolution of 438 megapixels (26,641 x 16,644 px at 300 dpi). You may download a free wallpaper version of this photograph for personal use by clicking the photograph above or the link on the side. For commercial use, please contact Crevisio directly.